Reclaim your body and your mind with the Ignite Fitness 10 Day Super Cleanse! Follow My Blueprint For a Healthy Diet So You Can Re-balance Your Hormones, Reset Your Metabolism and Look and FEEL BETTER In The Next 10 Days. …Without starving yourself like your typical fad detox diets. 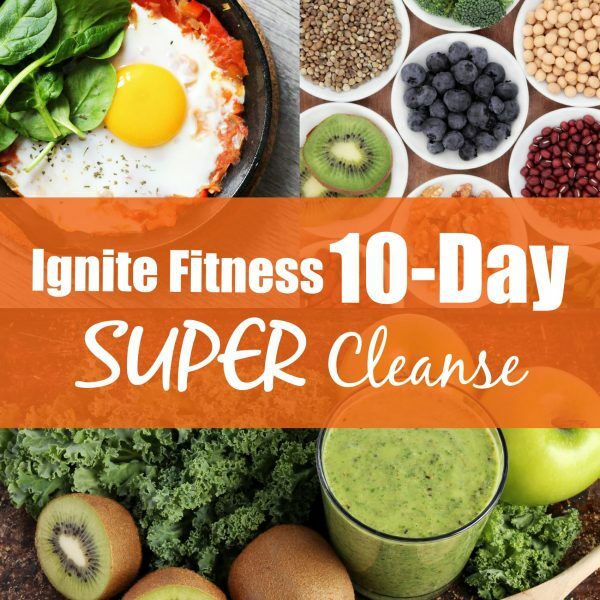 If you’re overwhelmed and overweight and have tried everything but don’t seem to feel better or lose weight, then let’s not waste any more time…sign up for the Ignite Fitness 10 Day Super Cleanse. It’s likely that you found this page, or were referred to me because you feel bloated, have poor quality sleep, have little to no energy and have crazy food cravings (especially sugar!) and you want to feel better and lose weight but you aren’t exactly sure how to do that. Maybe you’ve tried every fad diet out there and they didn’t go as planned or were unsuccessful in keeping the weight off long-term. Or maybe you’re sick and unhealthy and are tired of feeling this way, literally and figuratively. Whatever the reason is that you’re here, I’m glad you made it! Odds are that you’re reading this page because you already know in your gut that investing in a well-designed cleanse program is the right thing for you to do and you’re looking for information on how the Ignite Fitness 10 Day Super Cleanse works, so you can make a confident decision before you sign up. What Is The Ignite Fitness 10 Day Super Cleanse? 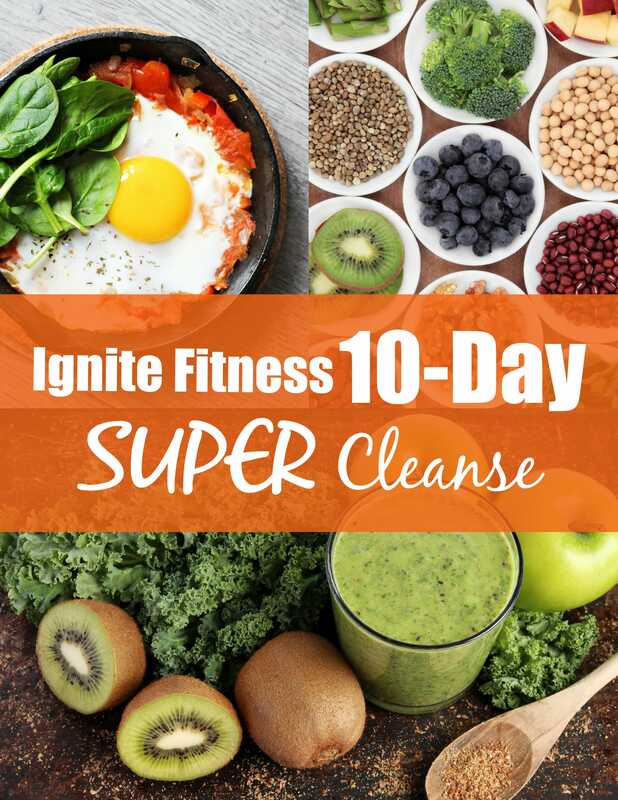 First and most importantly, the Ignite Fitness 10 Day Super Cleanse is a food reset that is easy to follow and will have you feeling BETTER in a short period of time. This is the perfect blueprint for a healthy diet, and it’s full of flavour, too! The 10-day cleanse is designed to include a liquid diet of yummy smoothies and soups for the first 3 days, followed by 7 days of delicious whole food options. After this 10-day cleanse you will feel lighter, you will have a flatter tummy and your bloating will be gone! What’s Included In The Ignite Fitness 10 Day Super Cleanse? Please note, the Ignite Fitness 10 Day Super Cleanse is beneficial to most individuals. However, if you have a pre-existing health condition, please check with your doctor before completing this, or ANY other cleanse or nutrition program. I suffered from migraines for over 12 years and I had tried just about everything you can think of and nothing worked. November 2016 I decided to try the Ignite Fitness 10 Day Super Cleanse for the basic goals of detoxifying and removing the “harmful” things from my body. The first 3 days were the toughest, but surprisingly, the remaining 7 days were very easy for me. I typically eat healthy, so the foods in the cleanse were right up my alley. I enjoyed the fact that I could eat solid food, not like most cleanses that are shakes or limit your food intake to minimal leaving you starving your body. After the cleanse, I had lost 15 lbs and have not had a migraine episode since. I highly recommend the Ignite Fitness 10 Day Super Cleanse to try at least once. I now complete the 10 day cleanse 1-2 times annually as part of my health regimen and use some of the recipes in my daily menu. I am thrilled to share that you will reap incredible benefits, both during and after the cleanse, including: increased energy, reduced cravings, weight loss (I lost 7 lbs!! ), and not to mention doable and tasty recipes to add to your repertoire. I am proud to share that I continue to experience these incredible benefits as a result of the Ignite Fitness 10 Day Super Cleanse and have incorporated her meal plans into my daily eating habits. Some of my long-term changes that are a DIRECT result of the cleanse include: elimination of coffee drinking, elimination of dairy and most gluten riddled foods, and I only consume brown rice pasta. Other benefits I have experience include: reduced bloating, clearer skin, sleep improvement, and increased stamina for my workouts. This incredibly 10-day cleanse is a complete reset, but also provides you with a solid foundation in healthier eating and living. Sue, a special thanks to you for sharing your nutritional expertise in a manageable 10-day cleanse. Incredible results! Tasty Recipes! I have had the pleasure of knowing Sue for many years now. She has been a constant and reliable source for health and fitness. Not only does Sue have the solid credentials to advocate health and wellness she walks the walk, so when she asked me to try out her 10 day cleanse, I knew it had to be good. After completing the cleanse I feel clear, not just in my body, but in my mind. I lost 16 lbs in 10 days with ease. 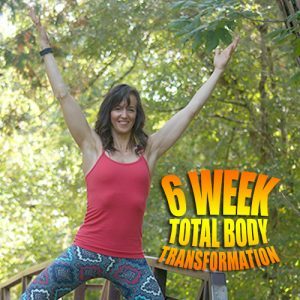 My body shed the unwanted weight along with the toxins that we’re making me feel sluggish and exhausted all the time. At the end of the 10 days, not only did I lose weight, but all bloating was gone, I was sleeping better and had a brighter disposition. Thank you Sue, I will be doing this cleanse 3-4 times a year. I highly recommend this to anyone. If your joints hurt when you climb stairs, if you’re feeling bloated all the time or have trouble getting up in the morning, this cleanse is for you! Those are just a few of the symptoms that the cleanse helped me resolve. I never feel as good as when I’m on the cleanse and for months following. The benefits were immediate for me, my joint pain was gone in the first 3 days. I had boundless energy and my problem skin seemed to clear up in a few days. I did the cleanse 2 times in 2017 and have started 2018 with the cleanse. You owe it to yourself to try this cleanse!